How valuable is a good, creative editor? See the before and after versions of the story I’ve submitted to the local anthology: Alone in the North Carolina Woods – 1840 (click on the image to see a larger version you can zoom in on to read!). How does a psychologist become the writer of fiction? Perhaps the question should be turned around. How about when I was 13 and told my family I wanted to be a Lutheran minister. That was a no-no, given that I had the wrong body type. So I changed my goals. As a registered English Major in college, I took a Shakespeare course with a famous, bright, demanding professor who assigned us a paper on King Lear. I got it back with an A- and the suggestion I might like to become a psychology major, so I did. Or maybe it goes back to my Freshman year in High School when we were to write about something interesting we had experienced. Since I couldn’t think of anything worth a story, I wrote about something that had happened to my sister as if it were mine. I got it back with an A and the comment “Good capture of an experience.” Fiction? Or maybe it really did grow out of my career as a psychologist. After all, I spent years learning and teaching about human behavior… even helping some people through therapy. Maybe it grew out of the interaction between my specializing in the Psychology of Women and later Forgiveness. 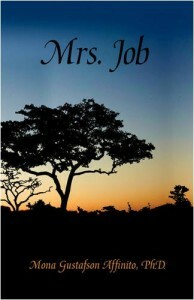 However, it all came together in the writing of “Mrs. Job” which ran into a bit of trouble because almost everyone pronounced “Job” as if it referred to paid employment. So now you can make us both happy by purchasing “Mrs. 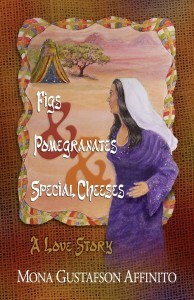 Job” at the reduced rate of $9.00 or “Figs & Pomegranates & Special Cheeses” for $12.95 directly from me (signed) at forgivenessoptions@earthink.net or on amazon.com as a softcover or a kindle. Also, I offer special group rate pricing for ordering 5 or more books at a time, for study groups or other group purchases. Please contact me at forgivenessoptions@earthink.net for more information on group purchasing. Please leave a comment by e-mailing me at forgivenessoptions@earthink.net.